Sales leaders go to market with solutions to the problems their customers face and are able to execute them on a consistent basis. They invest in new devices, technology, and workflow automation not because it is new, but because it would help drive out costs, increase efficiencies, perform better for their target customers, and ultimately deliver a great customer experience. They have the right people on staff, those who continually challenge each other to get better and to make it easy for their customers to do business with them. And, finally, they have the leadership discipline and sense of urgency to forge through the daily distractions of running a business. These may be issues that are on your plate now or that you’ve already successfully navigated. Start with your clients-what do they want? Look to you for assistance and guidance in accomplishing their print related goals. Now, why could these findings be important? The more you know about what your best clients look like and why they made the decision to select you as a supplier, the more you can leverage that in your new business development process. More importantly, if you know the reasons they stay with you as a supplier, you can better align your deliverables, your customer journey and the experience they will have. Some might argue that it should be the other way around – define your deliverables and then attract the clients that align with you. In a sense, let them self-select. It’s open for debate. Either way, what you build needs to differentiate your company from the others in a manner that places emphasis on the experience and the end product vs. only the end product. In a time when everyone can produce a good product on any given day, product alone is not enough to set yourself apart from the crowd. 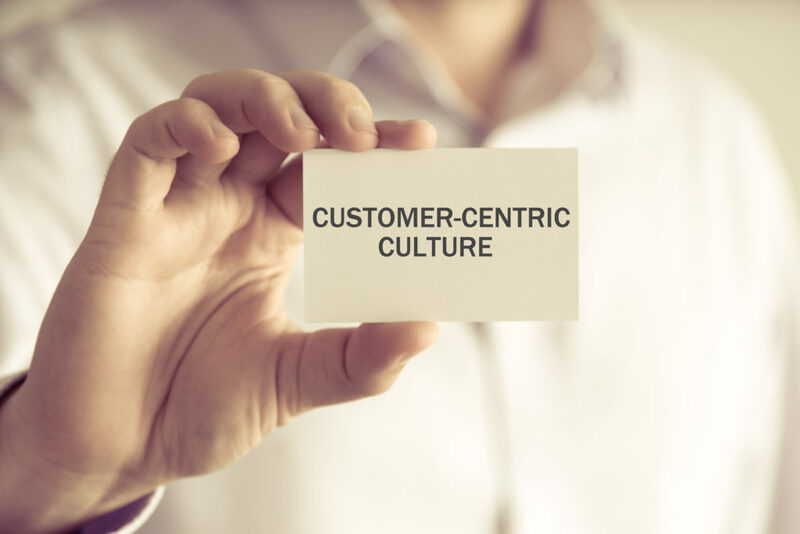 Further, in the CEO Guide to Customer Experience, McKinsey Quarterly, August 2016 they write,“It means paying attention to the complete, end-to-end experience customers have with a company from their perspective. Too many companies focus on individual interaction touchpoints devoted to billing, onboarding, service calls, and the like. In contrast, a customer journey spans a progression of touchpoints and has a clearly defined beginning and end.” This is a great article and I encourage you to check it out. “In a world where products become commodities in record time, service has become the crucial differentiator for long-term sustainable success-developing a customer centric enterprise with a focus on the needs of its customers is the key to ensure sustainable success for today’s enterprises.” Architecting the Customer Centric Enterprise, Umesh Jain, Merging Elements. It’s not only about the product! It’s about the business solution, implementation, and experience that you can provide – consistently. It’s also about selling to the right group of customers – those who want to be helped and who have determined that you’re the best resource available. Many companies have morphed from presenting their products and services and hoping to elicit a response, to telling their clients what they should be concerned about and pointing out opportunities that they may not even be aware of. They are changing the game, or creating a “Blue Ocean” strategy. As one person diplomatically said, “redefining their needs.” Good luck with this, let me know how you’re doing and have fun.